Single Sentence Summary: Ann’s love for Wade is ferocious, but ghosts from his first marriage, Wade’s growing dementia, and Ann’s own sense of guilt cast a pall over their life together. Primary Characters: Ann Mitchell – Wade’s second wife. Ann cares for and watches over her husband as he losses more and more of his memory. Wade Mitchell – central to the story, Wade suffered the tragic loss of both his daughters on a single day. Jenny Mitchell – Wade’s first wife, now in prison for the murder of her daughter. Synopsis: After eight years of marriage, Ann has grown increasingly alarmed at her husband’s fading memory. At times, she fears the angry man he becomes. Without wavering, she loves him fiercely. And constantly, she imagines the details surrounding the tragedy that ended Wade’s first marriage. Less than a year before Wade and Ann were married, he was living a very different life in the same mountain home he later shared with Ann. Wade had two beautiful daughters, June, nine, and May, six. With Jenny, he had a wife he loved, a home he’d built with his own hands, and seemingly the very life he’d always wanted. That life was shattered when Jenny took May’s life and June fled in fear, never to be found. 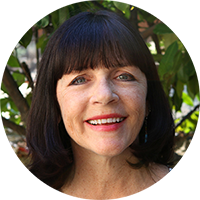 Ann entered Wade’s life as his piano teacher shortly before tragedy marked him. There was attraction between the two. After, Wade returned to his lessons and Ann saw for the first time the early signs of dementia that would not be stopped. His loss, her loneliness, his need, her guilt: all combined to join Wade and Ann. 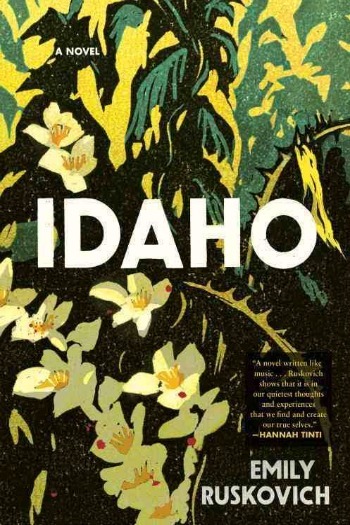 Review: Idaho is a truly beautiful story of loss, love, and contrition told from multiple perspectives. Central to every part of Emily Ruskovich’s debut novel is the day Jenny killed her youngest daughter. The tragedy was inescapable for all but Wade, for only he was able to forget. Early-onset dementia was the price he paid for peace of mind. As he lost touch with the events of that day, Ann became more and more preoccupied with the reasons why. Wade had never shared more than the bleakest of details and Ann feared the parts he had not shared. Jenny alone had the answers that no one else did, and her penance was paid in the small life she allowed herself in prison. Love and contrition were wed throughout Idaho, most evident in Ann’s devotion to Wade, and her compassion for Jenny. Events of that cataclysmic day and its aftermath were revealed in leapfrog fashion as the story bounced around in time from 1973 to 2025. The movement definitely requires the reader to pay attention, and sometimes look back on dates. This, coupled with the story unfolding from multiple perspectives, makes Idaho a book one must pay attention to. I liked most the parts centering on Ann, but those concerning Wade, Jenny, and Elizabeth, Jenny’s cellmate, also leant depth to the story. Other perspectives, at times, felt superfluous. I think Ruskovich’s writing was the real star of this book and especially her brilliant job in developing Ann, who we learn so much about, and Jenny, who we learn so little. I’m trying to think of narrators other than the ones you mentioned….the ones that were superfluous. Maybe so superfluous that I can’t remember them?! I didn’t really get the whole Elizabeth/Sylvia/Jenny thing and why so much of the book was devoted to that. I can see just Jenny, but we didn’t get much about her mental state, which is what I wanted from that section. I’m posting my review on Thursday. Narrate was a poor choice of words on my part. (I fixed it.) When the story moved to what Eliot and Tom were doing and thinking in the years after June’s disappearance, I just felt it was unnecessary to the story. And, the chapter about what was happening to the blood hound as he searched for her scent was just too much! Susie, I think I’m going to go ahead and give it a try; thanks for the heads up on all of the date switching back and forth. Sometimes, that type of storytelling really annoys me; it’ll be interesting to see how it plays out with this one, as well as the multiple narrators. Thanks so much for this review! I’ll be interested to hear what you think of Idaho. This is a much more positive review than the last I read elsewhere. Now I don’t know what to do. I suppose I will just hold out awhile and see how I feel about it after clearing some must reads from my pile. Great review. Thanks! It seems people are pretty divided on Idaho.